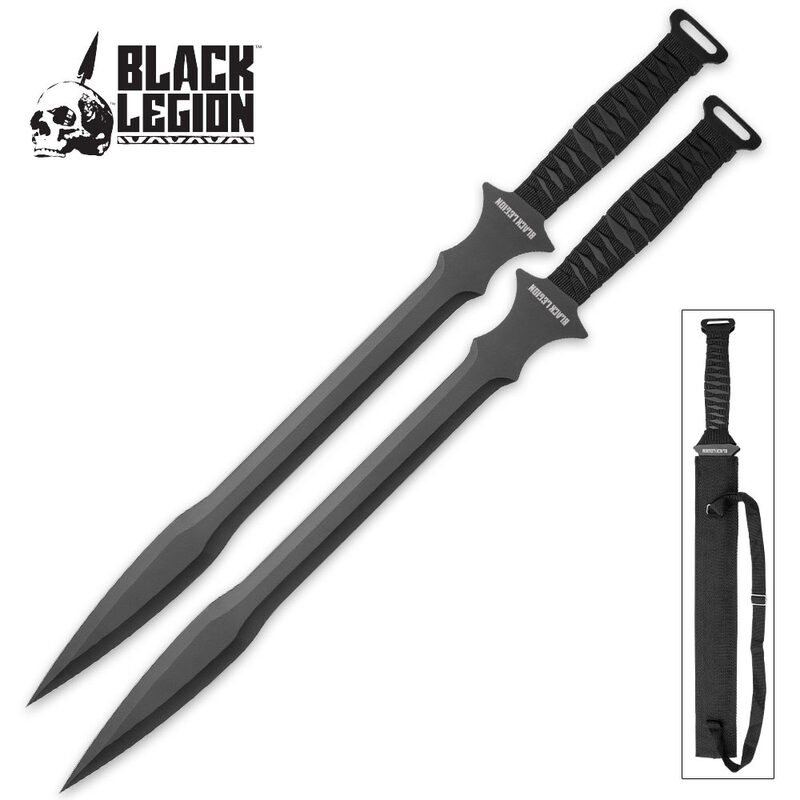 Each sword overall length: 25"
The Black Legion Black Thruster Twin Sword Set includes two equally menacing black swords in a single potent set. Each boasts a razor sharp, double edged black 18” 420 stainless steel blade with an innovative shape and design - a modern take on the iconic "gladius" wielded by legions of ancient Roman soldiers. Just the right balance, size and weight for simultaneous, one-in-each-hand use, both swords are pleasures to wield, thanks to comfortable, water-resistant black nylon cord-wrapped handles. 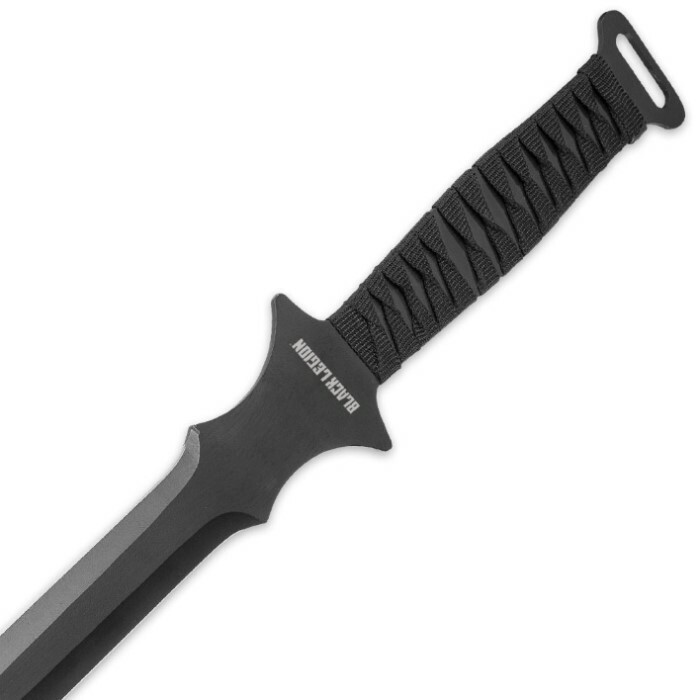 The twin sword set includes a handy, protective nylon sheath that shroudsd both swords simultaneously. 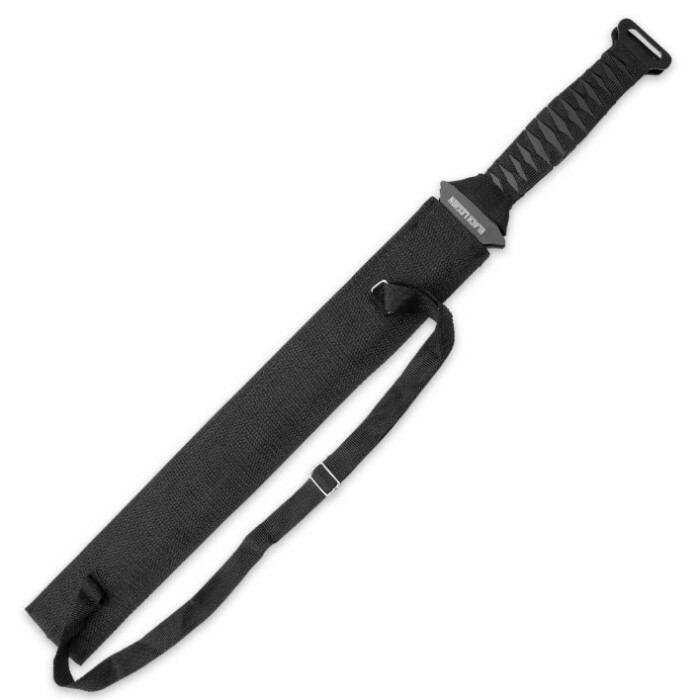 Sling it over your back or shoulder with the durable black nylon carrying strap for quick access and ceaseless battle-readiness. If you don’t yet have a twin sword set in your collection, the Black Legion Black Thruster Set is a fierce yet affordable place to start. Even if your collection is brimming with swords, daggers and knives of all shapes and sizes, it just isn’t complete without the subtle elegance of these stunning 25" black beauties. These swords are great, better than I expected. Strap for the sheath is wearing away a little bit but overall this is perfect.